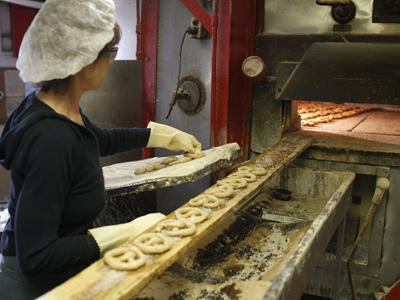 Hand-made pretzel bakery, dough mixing, pretzel twisting (rolling), dip and bake, kiln dry and pack. Outlet store. 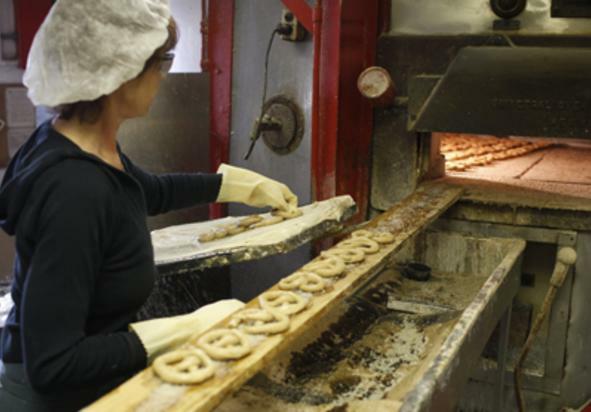 You can take a tour of Revonah Pretzels Monday, Tuesday, Wednesday, and Thursday 9:30 a.m.-11 a.m. , RESERVATION REQUIRED. The length of the tour is 20 minutes, and there is no admission charge. Motor coaches are welcome, but please pre-schedule bus tours. The tour is handicap accessible. To make a reservation call 717-630-2883. The last tours of the day is 11 a.m.